Just About Anything: Mommy Moments: The Rains Cometh! 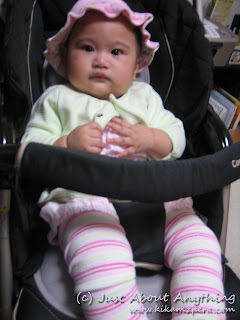 I love the second pic, she's sooooo adorable hehehe, sarapa pisilin ng cheeks heheh..
what a lovely rainy day outfit! so adorable indeed! She is pretty little girl. Happy MM! am playing too/. love her in the blue hoodie. ang cute! Sometimes I too like to wrap myself up and take a long nap when it rains. Love the pictures, adorable! 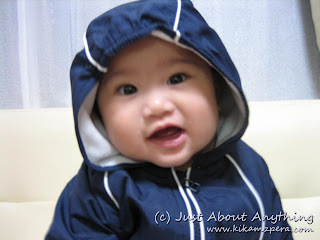 Ganyan din ang baby ko pag umuulan mommy, covered from head to toe! 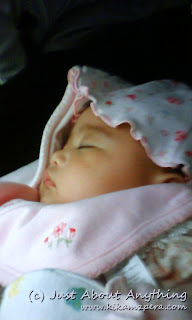 I remember na sleepy pala ako ng makita ko si baby Sam sleeping with the cute jackets..he..he..I love when it rains..I love the coldness and the snuggle! Sam's so cute in her blue jacket. My entry is up, too.